Your card is beautiful. Your coloring is the greatest. 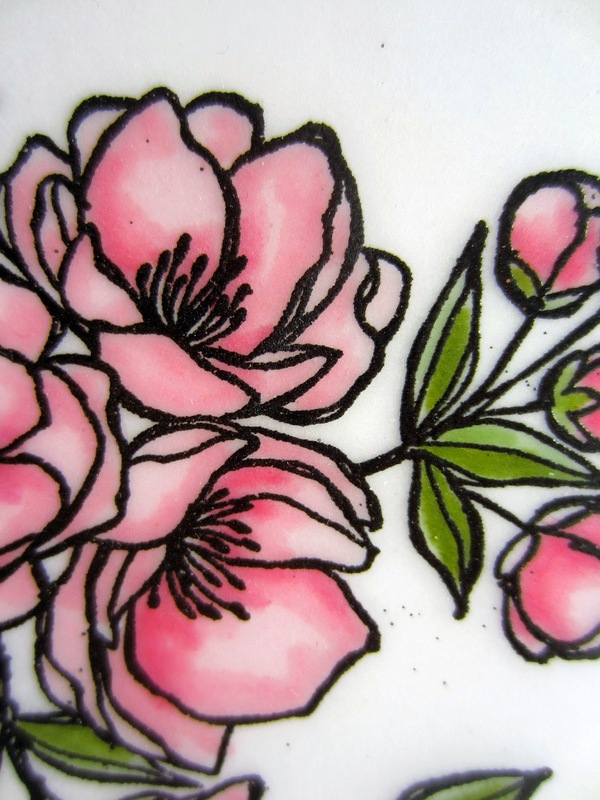 The blossoms are very delicate and pretty, perfect for Mother's Day! Aww...this is so pretty! Very Spring-like! What a very nice card this is, thank you so much for sharing with us. Happy Mothers Day, lovely card! 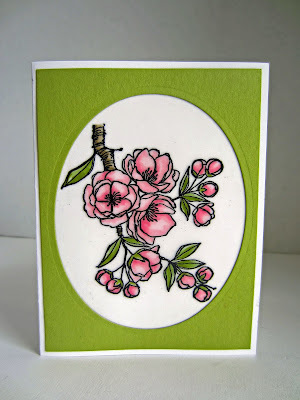 Another pretty card! Thanks so much for sharing at my Creative Ways Link Party! I love this card! 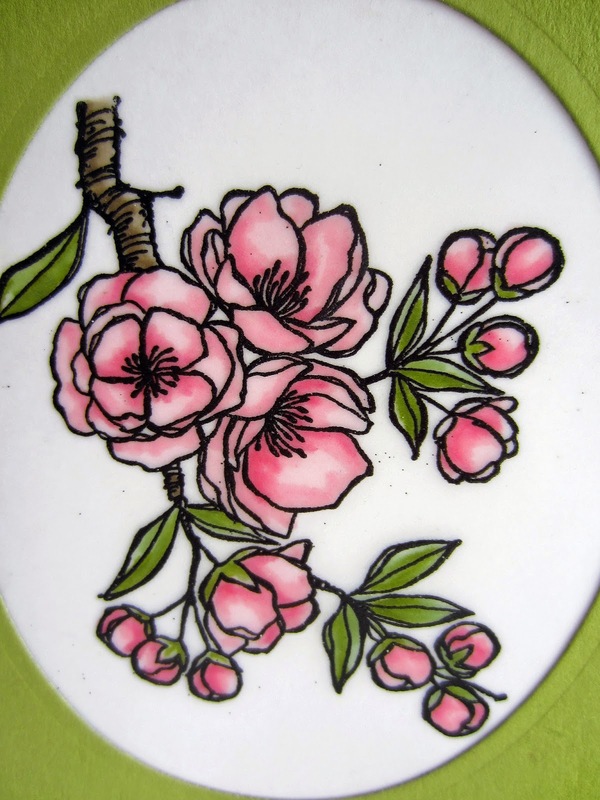 It looks like a flower on a porcelain plate. It has so much depth. What a beautiful card. Thanks for linking up on #HomeMattersParty Looking forward to seeing what you link up next week. Pretty! Thanks for Sharing on My 2 Favorite Things on Thursday - Link Party!! Hope to see you tomorrow!! Pinned! !